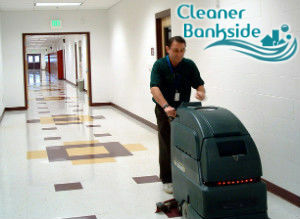 Our company provides a vast array of cleaning services in Bankside, SE1 and we are glad that we always manage to exceed customers expectations and deliver outstanding quality. One of the most frequently home maintenance services is the hard floor cleaning and polishing, tailored to restore the gloss of the floors without making any damages to the surface. Regular hard floor cleaning is essential for prolonging the life expectancy of the floors, so if you are looking for high quality, professionalism and affordability, booking with us is the right choice. Our cleaning experts are prepared to deal with any kind of dirt on any kind of flooring material – ceramics, sealed cement, laminate, vinyl, marble, granite, hardwood and many more. 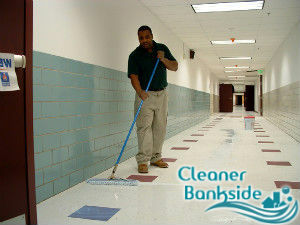 During the booking process, you will be asked about the type of floor that needs to be treated, so our cleaners will carry the right set of tools and detergents when they arrive to your property in Bankside. You are also advised to discuss the polishing option with our representatives as you will be able to enjoy the achieved smoothness of the floor for longer. A new layer of coating will be applied and the scratches will be gone for good. All you are supposed to do in order to arrange us is to get in touch with our representatives and book the most convenient to you slot. The cleaning teams covering SE1 have flexible working schedules, allowing them to deliver the service at any time you wish.